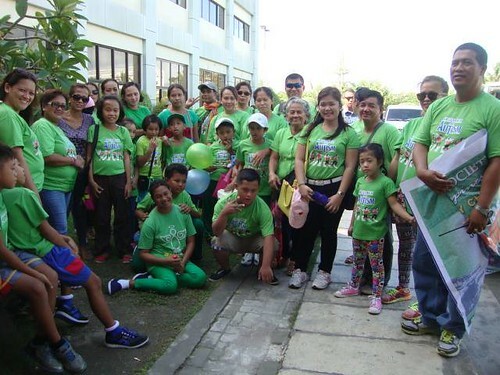 Last 22 January 2016, the Autism Society Philippines Ormoc City Chapter held the annual ASP Angels Walk for Autism. The walk started at Ormoc New City Hall at 3 o'clock in the afternoon. The participants included St.Therese of Little Flower, Ormoc SPED Center, Ormoc City Central School, St. Immaculate School, Jesus Kids and Pedia Care. Private partners like Ormoc Credit Cooperative Inc (OCCI), City Saving Bank, the Rotary Club, the Ormoc Supreme Lions Club and the CSWD employees also joined the advocacy event. After the parade, the participants arrived at City Plaza stage. The program started with an opening prayer followed by a ZUMBA dance. Ormoc SPED Center Principal Mrs. Pia Chu gave the welcome message. CSWD Head Mrs. Marietta Legazpi gave the inspirational message followed a song number from CWA pupils from SPED. ASP Ormoc President Engr. Generoso P. Managbanag delivered the closing remarks. About the contributor. Engr. Generoso P. Managbanag served as the ASP Ormoc Chapter President since 2011.